In an earlier post I explained why you need a good tripod. In this post I will give a full review of the Manfrotto 055 Aluminium tripod which I consider to be one of the best on the market and a great investment that will last you for years, if not the rest of your life. 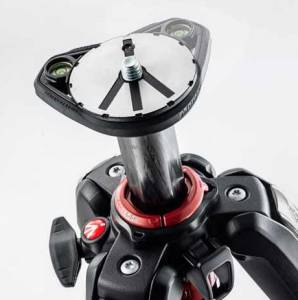 Manfrotto has been regarded as the top tripod manufacturer for many years – and with good reason. The Manfrotto 055 Tripod Video. Italian engineering and manufacturing has been at the forefront of high-end luxury vehicles such as Ferrari and Lamborghini since forever and that same class of elegance, functionality, reliability and solid strength can be found in the Manfrotto Tripods. Famous multi-functional ‘Q’ centre column that allows for adjusting the centre column to virtually any angle. 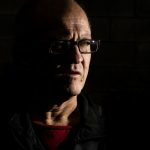 This allows for a multitude of uses in macro, documentation photography, extreme low angle shots and photographing from unusual situations where one might not normally be able to use a tripod. I can tell you from firsthand experience that although you may not need this column often it is really cool to have when you do need it. Very tight lock for when the center column is extended. With a lot of camera tripods the extension of the center column becomes a bit dodgy as the center of gravity tends to shift upwards and create a feeling of imbalance. This is not the case with the Manfrotto tripods and certainly not with the 055 aluminium tripod under review here. There are three sections to each leg. This has long been acknowledged as the perfect number for stability and strength. Who am I to argue with Italian engineers? Quick release catches that are easy to use (basically a one-handed operation) yet lock the legs very securely. There’s nothing more frustrating than trying to release legs and lock them with ultra loose or stiff releases. The aluminium finish is a work of art while the non-aluminium parts (threads etc.) are all made of the highest quality stainless steel. You’ll never have to worry about rust or concern yourself that your Manfrotto 055 will ever look ugly. You are able to fit your favorite head on to these legs as the fittings accommodate all brands of heads. To allow you to take hands free photos that are well focused. This could be for one or several images to be stitched together or processed as HDR. It could be for night photography or any other photography where a long exposure is required and where it would be impossible to hold a camera steady for that length of time. The second purpose is to safely support your camera and lens. There is no point in having an expensive rig mounted on a cheap flimsy camera only to see the lot come crashing down. I would imagine it looks bad and sounds terrible. And to add insult to injury there would no doubt be no photo to show for it! Why anyone would put an expensive camera on a cheap tripod is beyond me. I used to work in a camera shop and we often had customers come in a rush (always in a rush) wanting to buy a tripod for a particular event or weekend but not wanting to spend much – “just something that will do the trick”. I can recall on at least 2 occasions when customers returned with tales of woe where the lot had blown over and expensive cameras and lenses had been damaged as a result. While I am all for paying as little as possible I won’t do so at the expense of quality. It’s just not worth it. 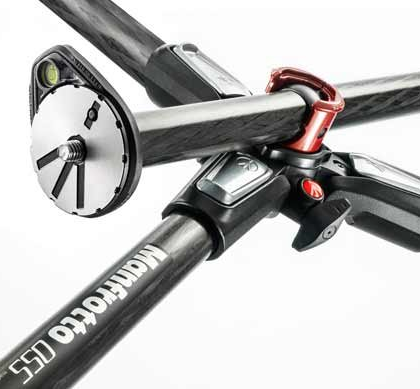 There are hundreds of testimonials online stating the longevity of the Manfrotto range of tripods and the 055 aliminium is at the top of the list! I can almost guarantee that person will one day upgrade to something more expensive and buy new longer/bigger/better lenses. I say that because from my experience anyone looking to buy a tripod (and that includes you reading this) is taking their photography a bit more seriously. Buying a tripod now that will last you for years to come is one of the best investments you can make in photography gear. Second only to good quality lenses in my opinion. What’s Not To Like About the Manfrotto 055? I should think Manfrotto could come up with some decent packaging. Seriously such an amazing product basically lying loose in a crappy cardboard box? Surely they can do better. The Manfrotto 055 Aluminium is too big and heavy for traveling (unless you are going on a dedicated photography trip) and tramping. For that I would recommend one of the smaller and lighter range. They’re just as good but you need to be a tad more careful when using them as they aren’t quite as sturdy. Likewise if you’re a tramper or into these long hikes up mountains. The weight will eventually tell – or it would on me at age 62! Unless of course you can hire a Sherpa. Now there’s a plan.It’s Conclusive, the Manfrotto 055 Aluminium Tripod ROCKS! Well not really as it is rock-solid but you know what I mean. I have yet to come across anyone that has this model that is not 100% happy with it. Right so it is decided then – the Manfrotto 055 aluminium is the one for you – the only decision now is where to buy it from? Here again I have saved you some research and found that Amazon is the cheapest place on the planet. Not only are they well priced but Amazon also has it’s full refund “no questions” asked policy so if that packaging plays up you simply send it back for a new one or a refund. Don’t forget to mention the packaging issue at the check-out. 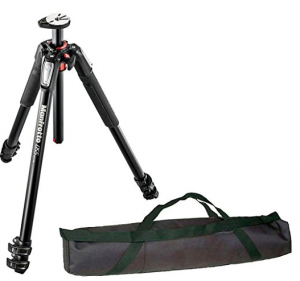 Manfrotto Tripod Buy – exciting stuff getting new camera gear. You can thank me later for helping you buy a great tripod! Oh and when you get it could you please let me know in the comments below how much you love it? Some of the links within this post are affiliate links and I may receive a small compensation from sales purchased through these links. 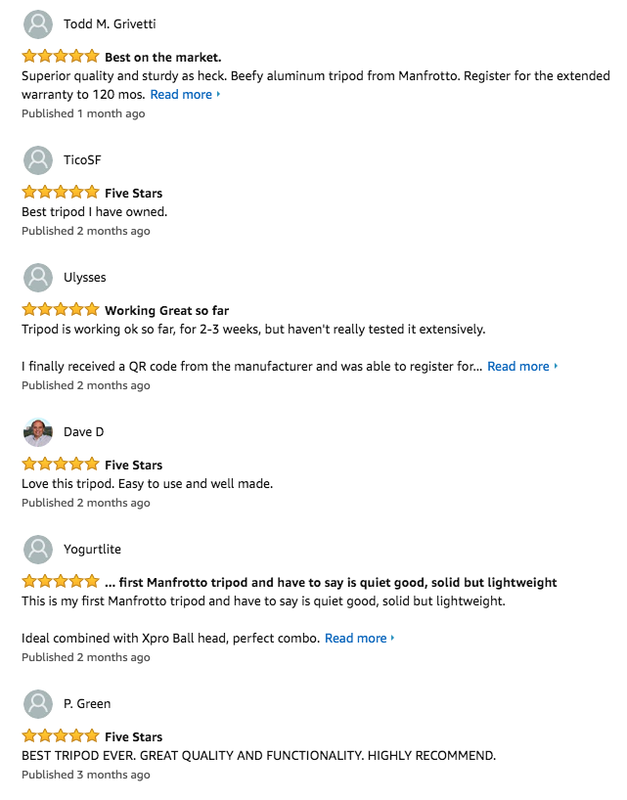 Your review on the Manfrotto 055 tripod is very in formative and I always find the best advice for making my purchases is doing my research on the product I am looking to purchase. When doing my research, I find the best advise is from people that have purchased and are using what is am interested in and you being a photographer is even better because you are an authority in your field. As you fist stated in the very beginning of you review it is a little pricy with that said I have always found you get what you pay for so you don’t want to buy junk only to find out in some years you will have to purchase a new one. Well done Lawrence you review has swayed my judgement to look closer at the Manfrotto 055 and will be back when I am ready to purchase. I have to agree with you – the best referrals or reviews are always from people who have tried the product. And I always try to give an honest opinion based on my experience. With the Manfrotto I have had nothing but superb use and long may it continue. There is no doubt in my mind if anything ever happened to it I would replace it with another Manfrotto. I am happy to have swayed your judgement and feel confident if you do get one you will join the ranks of very happy Manfrotto users. Super nice site here ! I have always been into taking pictures and my wanna be photography abilities ! I purchased an EOS Rebel last year and have taken thousands of pictures with it. Some were actually pretty good, but my skills got much better with the addition of a tripod ! My tripod is a flimsy Wal Mart job but it helps ! After seeing this, I’m thinking seriously about getting a better tripod like this ! Thanks for the info! Thanks for your comments. If I helped in anyway to get you a better tripod to both protect your new Canon Rebel and help you take better photos then my job for this post is done – now what next can we do to help you? Wow, what a cool tripod! I’ve been looking around for what would be best to replace my mother’s old tripod – the old one can barely hold her camera anymore and keeps slipping out of place. Thanks to you, I know just what I want to get my photobug mom for her birthday~! Anyway besides that minor point I am delighted to have been able to help you and I can assure you that a good tripod is a fantastic present for any keen photographer. This is a present that will last forever and the fact that her old one is a bit rickety is a good indication that it will be used often. Please wish her Happy Birthday from me.